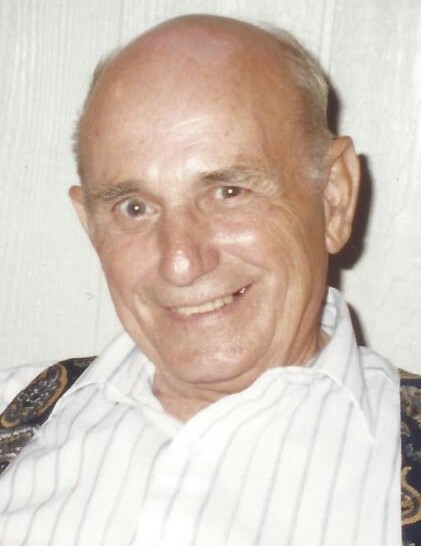 Charles W. “Charley” Moon, 91, Kokomo, passed away at 4:00 a.m. on Friday, April 12, 2019, at Golden Living Center in Kokomo. He was born March 25, 1928, in Twelve Mile, to Harold and Doral (Johnson) Moon. On September 12, 1948, he married Mary Ann Flora, and she survives. Charley graduated from New Waverly High School in 1946. He worked for 15 years at the Farm Bureau Lumber Yard and then worked for Chrysler from 1967 to 1990 before retiring. In addition to his wife, Mary Ann Moon, he is survived by his sons, Edward “Ed” (Monelle) Moon, Charles “Chuck” Moon and Jeffrey (Tammy) Moon; seven grandchildren; eight great-grandchildren; and a sister, Emma Moore. He was preceded in death by his parents; brother, Devon Moon; and sisters, Charlotte Graf, Marilynn Bowman, Helen Wright and Marjorie Shipp. Friends are invited to visit with the family from 2 to 4 p.m. on Thursday, April 18, 2019, at Shirley & Stout Funeral Home, 1315 W. Lincoln Rd., Kokomo. A private family memorial service will be held. Messages of condolence may be left online at www.stoutandson.com.